four-Test series won by the visitors. "Did you read Harbhajan's comments about Ashwin; he was out of order there. What is first spinner and second spinner? Spinner is a spinner," said Engineer during a talk show organised by Legends Club at the Cricket Club of India here Wednesday evening. "Ashwin is a great bowler. It appeared to me he (Harbhajan) was critical of Ashwin. You don't wash dirty linen in public especially on an off-spinner who has replaced you. It's like (Mahendra Singh) Dhoni criticising (Rishabh) Pant. It's not cricket," said Engineer, who was India's number one wicket-keeper batsman in the 1960s and early 1970s. 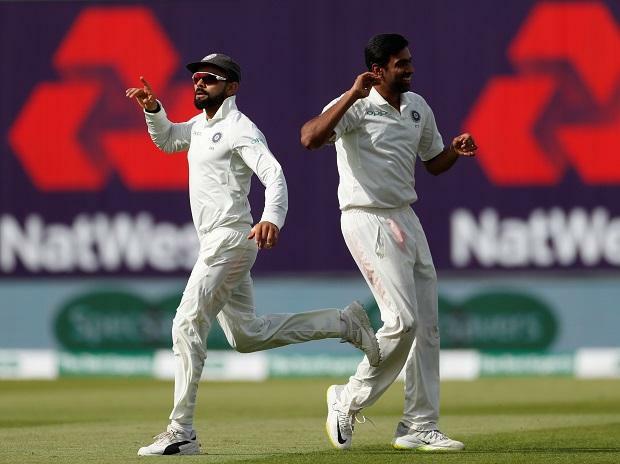 Harbhajan had commented in the media that Ashwin got injured in Australia when the team needed him and Kuldeep Yadav, who got a chance to play in the final Test at Sydney, bowled so well that he should be now considered the number one spinner for Tests anywhere, followed by Ravindra Jadeja with his left arm spin who bowled well in the last two Tests. "They have shown the way forward for Team India - to look at the option of playing them together abroad or in India. Ashwin being injured on two tours. When your team needs you the most, you [R Ashwin] get injured," Harbhajan was quoted of having said in a news report. "Kuldeep should be promoted as the No. 1 spinner and Jadeja as the No. 2 spinner. These two guys should be playing together irrespective of where India are playing. They add a lot of strength to the team," he had said. "You should play your match-winners. It shouldn't be like they play in overseas conditions "aur jab malai khaane ka time aaye toh koi aur khele" (and when the time comes to reap rewards of your hard work in home conditions, you see someone else getting a chance). They are working hard and winning you games abroad; they deserve to play at home as well," the feisty off spinner was quoted of having said.